The online marketplace is also expected to be more competitive than ever in 2018. That’s why e-commerce store owners need to continuously explore new technologies and promotion tactics in order to create a competitive advantage against competitors in the industry. Shopify Tool Stack is a collection of shopify apps that help you stay competitive by providing assistance and automation with all processes of running your Shopify store — particularly with automating sales. Check out these 10 must-have Shopify apps that can boost your sales and make you more competitive. Syncee is an all-in-one inventory management application that helps webshop owners run businesses more easily. Syncee connects you with your suppliers and shippers in order to make import and management automated and simple — and save you money! They have a number of plans depending on the number of products in your store. Plans start at $19/month and run up to $249/month for enterprise solutions. Out-of-stock Police help to automate your stock management by pushing your out-of-stock items down automatically without affecting your ranking in search engines. It makes it easy to manage temporary out-of-stock items without taking the page down altogether. It’s free for up to 199 products and then $5.99 or $9.99 per month at the next two levels. Veeqo helps omnichannel retailers automate their entire back office processes. Manage orders, ship to customers, sync inventory across multiple sales channels in real-time, view detailed reports and take tight warehouse control – all in a single platform. Pricing starts at $160 per month for up to $700K in turnover. There are some great Shopify apps for managing your shipments. Aftership makes it easy to keep tabs on shipping and deliveries in order to improve customer service and minimize mistakes. You can send proactive delivery updates to customers with SMS integration, use hundreds of different couriers and even set up a branded tracking page to engage customers after sales! The basic package is free and then you can escalate to Premium for $10/month or Enterprise for a custom price. Plug-in SEO helps over 90,000 small businesses improve the search engine performance of your site in order to drive more organic traffic. You can sign up for free and the app will check your site and determine if you have any issues that are worthwhile to fix. It’s the perfect way to make sure your site is working as hard as it can to get more customers for you. SEO Doctor by KudoBuzz provides on page SEO diagnostic report, along with a smart algorithm that pinpoints the issues you can fix with a few simple clicks. Key areas of focus include Broken Link management, image optimization and a few exciting features around backlink recommendations. Best of all, you can get started with all the basic tool for free. Kit can create highly targeted social ad campaigns by writing, building and posting the ads for you! It’s a perfect way to leverage social to direct traffic to your site — and it’s all automated. You can also promote a discount code and send thank you emails to customers. Plus, it’s free — definitely one of the most popular Shopify apps out there! ContactPigeon is a complete e-commerce Shopify app that includes campaign automation, visitor segmentation, on-site retargeting, analytics and more. It doesn’t require any IT skill and is super fast to set up and start boosting your sales immediately. Monthly plans start from $165/month to custom pricing for larger enterprise packages. With Smile.io, you can set up rewards programs, referral incentives, and loyalty points in order to boost customer retention. Customers can earn points with purchases or by referring friends, which drive your sales and customer loyalty up. It’s a super easy interface and it lets you create fun programs that will entice your customers. Plans start at $59/month up to custom pricing for enterprise level clients. Product reviews are a great way to entice more buyers to try out your product. With Yotpo, you can automate your product reviews in order to maximize the number of buyers who are leaving reviews. It offers built-in review functionality via email, leading to maximum conversions. It can also collect any type of content from a customer or curate it from social media. The basic plan is free, then prices increase depending on what extra features you would like. 2018 expects to see e-commerce revenues of $460+ billion, making it a great time to have a store live online. If you run a small company, you know that producing a great product is only half the battle. Getting your product sold is the point where you know you are really in business! Launching and selling a product on Shopify is a key milestone in your career as a business owner. Once you have your items listed in an e-commerce store, you have begun the marathon (not the sprint!) of bringing in revenue and maintaining your brand over the long haul. That’s why leveraging great technologies available on the market, particularly those available as Shopify App, is key in enhancing your overall e-commerce results, not to mention preventing some sleepless nights worrying about things left undone. Process and sales automation is a must for 2018 since it makes processes so much more effective than traditional marketing. Triggered campaigns have a significantly higher conversion rate of 26.2 percent compared to the average of 5.3 percent for all email types. 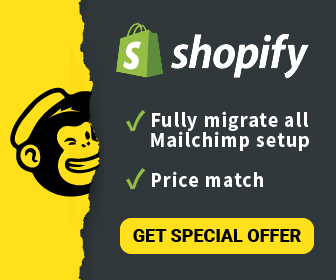 The more processes you can automate in your Shopify store, the better chance you will have of targeting the right customers at the right time. Use these apps to help get an edge on the competition in the year to come!